Lagårdsveien 80 was built in 1973 in Stavanger and was chosen as headquarters for Statoil. Because of Statoil expansion Lagårdsveien 78 was built in 1976. Former tenants of the property are among Statoil, the Norwegian Petroleum Directorate, County Governor Rogaland, Telecom, Norgass, Norema and Teppeland. 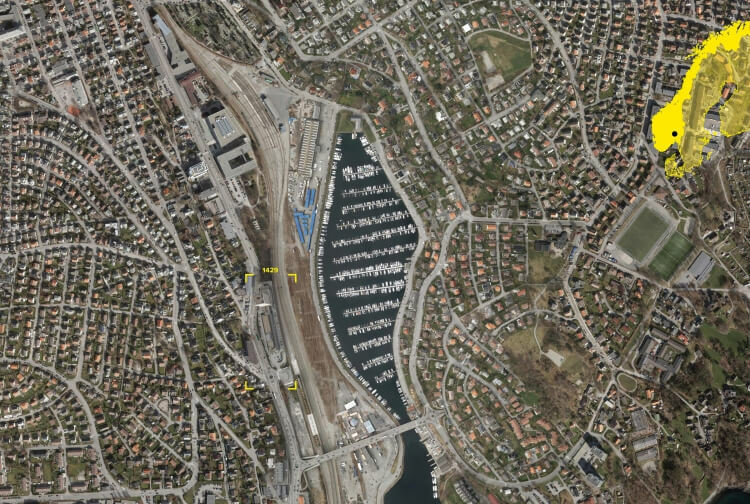 The building is situated next to Paradis station, 1 km away from the Central Station of Stavanger. Lagårdsveien 78-80 is part of the history of the city. It is a visual reference -landmark- that refers to the industrial development of Stavanger. The future development of the plot should keep and reinforce this connection. There is an on-going intense discussion regarding the future allure of the city of Stavanger and Sandnes. Many recent large development are facing tumultuous welcoming from locals when the topic of high-rise -or let’s say higher density- is being part of the project.